In this section, you will know, what is java and how to run "Hello World" example or program in command prompt (cmd). First of all, we will know about java (What is java?). 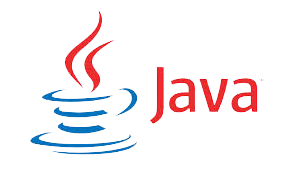 Java is an object oriented programming language. It is introduced by James Gosling in 1995. Java is platform independent language that means you create your application in one system and execute to another system. Now, We will see how to create "Hello World " program in java. Follows the few following steps for creating the "Hello World" example. Step 1: Open Notepad(Go to Start->Run-> and type Notepad and click Ok). Step 3: Save program with ".java" extension like "Helloworld.java". How to run your program on cmd? Step 1: Open Command Prompt (Go to Start->Run-> and type cmd and click Ok). Now, you go to your directory where your program has been saved. Now, you go to your saved directory then you will see another file has been created with name "HelloWorld.class". This file is compiled byte code fromat file.